Someday I'll Sleep Autism Blogs: Rosaries "Endanger" Students? Who knew that I was making gang paraphernalia and selling it in my store? 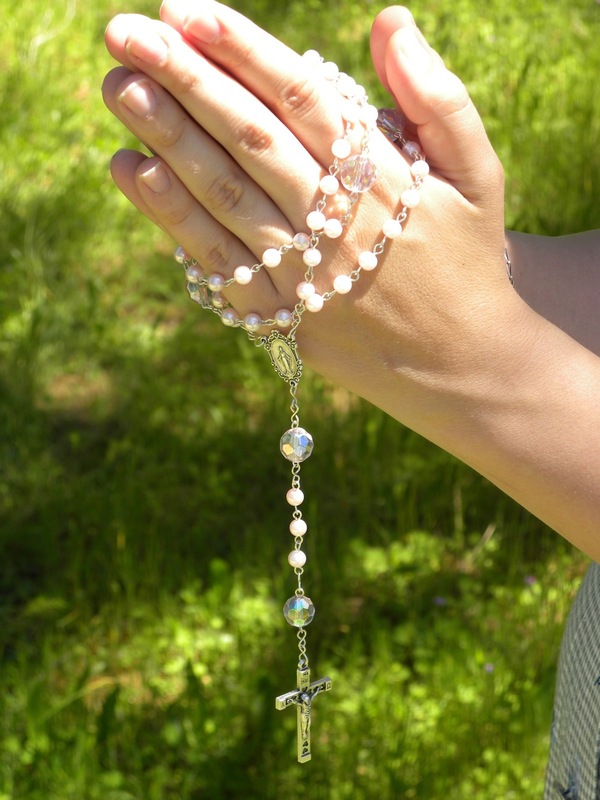 HAVERSTRAW (WABC) -- The parents of a high school student from Rockland County are demanding answers after their ninth grader was suspended for wearing rosary beads to school. He was suspended even though the school doesn't even have a policy banning them. So did the principal go too far? Jason Laguna is a former altar boy and proud Catholic. He got his rosary beads as a gift, thinks they look cool and sometimes wears them under his shirt at school. But last Friday, right before dismissal, he pulled them out on his way out. He was given a one-day suspension from Fieldstone Secondary School. His mother calls the punishment extreme, considering the 14-year-old is a member of student government and, according to his last report card, "is a pleasure to have in class." Laguna says she was told the school has an unwritten policy regarding beads because they could be used to show gang affiliation. The principal claims it was insubordination, saying Laguna's actions, "endangered the safety, health, morals or welfare of himself or others." Jason was supposed to stay home Friday, but late Thursday the district superintendent put that on hold pending further investigation. It may not be divine intervention, but his mother has contacted the American Civil Liberties Union as she continues to fight the suspension. He endangered the "safety, health, morals or welfare of himself or others" by bringing rosary beads to school? I imagine a search of most schools would show far more dangerous items that rosary beads. A article in our local paper (in our small town) last year showed that 7 students admitted in a survey to carrying guns on campus... but maybe the principal of Laguna's school has eliminated all those other dangers and can now focus on the Great Catholic Rosary Threat. As the daughter of a retired high school administrator I have to say I have a problem with the fact that this particular policy is "unwritten." And I'm somewhat skeptical that the school would be as quick to ban something that was associated with a religion other than Christianity (I'd be equally disgusted if they did... like the "trying to ban headcovering in some European country" story that seems to pop up on a monthly basis). I would expect more from educators, honestly. But I should know better, school have been known to ban symbols like the Star of David for the same reason. I'm glad to see the ACLU has been contacted.